Cheryl Howard Corporate Business Development Director for Conservation Seeding & Restoration, Inc. Former Vice President of the Petroleum Association of Wyoming. Cheryl is a native of Baker, MT and grew up working in her parents oil tool business. She has lived in Wyoming over 10 years. She received the “Forty under 40” award for the State of Wyoming in 2008. 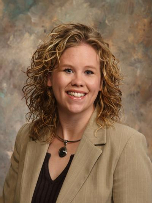 Cheryl joined the YPE leadership team in 2010.